If gay marriage is a new thing to God, then God didn't know about it. 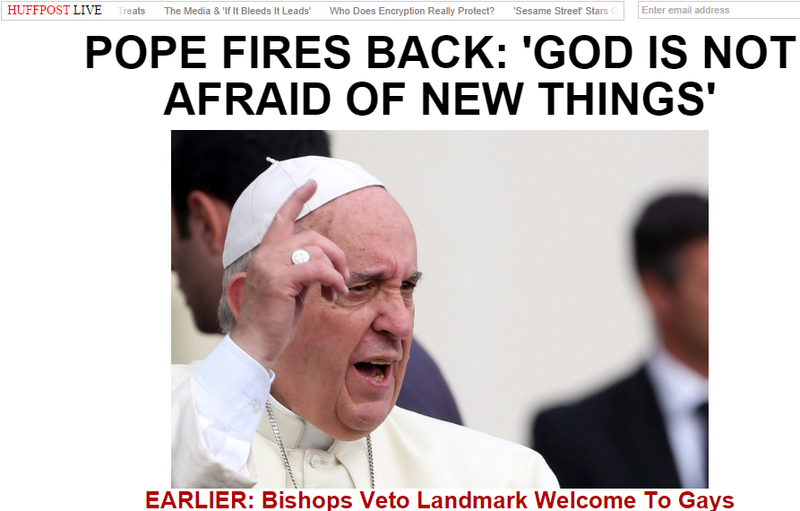 Perhaps Francis meant that God is not afraid of what is new to the rest of us. No, that does not make sense either, this is not a new thing. Besides, God is only afraid of iron chariots. But get used to the double-speak from this pope. He has mastered the art. He'll issue a radically new, socially liberal edict, long denigrated by the socially conservative church. Then soon, with much lesser fanfare, he'll walk it back. This time, the walking back was noticed, so he has to do another dog and pony show. He has done it before, you know.